Beards, beanie hats and flannel. 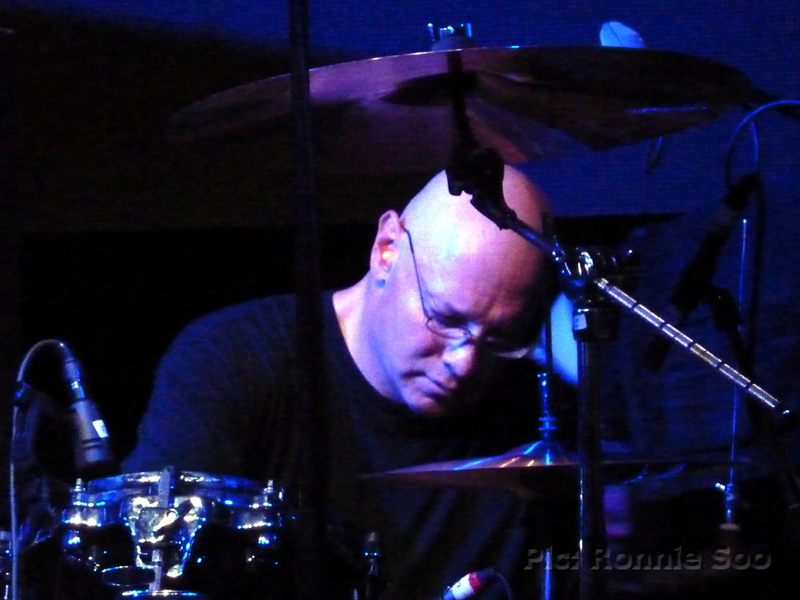 Lots of that was in evidence at the East Village Arts Club on Thursday as alt-rockers Dinosaur Jr rolled into town as part of Liverpool Music Week, a music festival held over several venues in the city. The downstairs hall was very well-attended for the return of these 90s grunge survivors, and I got in to find openers Sheer Attack already on stage. Despite the name they have no connection with Queen, and are in fact a four-piece hailing from the Merseyside area. Their vocalist was a strange character, making oddball gesticulations during each number, and even jumping out onto the floor for a mostabout, joined by one or two from the pit. They were loud (boy were they LOUD! ), energetic and enthusiastic, and had some nifty guitar runs in their material, but it didn’t really float my boat. I mean, I was around for the Thrash era and while these lads certainly gave it plenty, they didn’t do it with quite the same style as say, a Slayer of 30 years ago! I had noticed not one, not two, but THREE Marshall stacks over one side of the stage set up for the main act, and with the venue holding (by my estimation) around 800, I wondered whether at least two of those stacks were for show. I soon found out that wasn’t the case when guitarist/vocalist J Mascis, bassist Lou Barlow and drummer Murph hit the stage. It was absolutely ear-splitting! There was enough volume for the Echo Arena, let alone this intimate hall and to me at least, this was way over the top. I’ve been to over-loud gigs before (I can remember having my ears shredded by the aforementioned Slayer back in the 1980s) but this was up there with the worst of them. 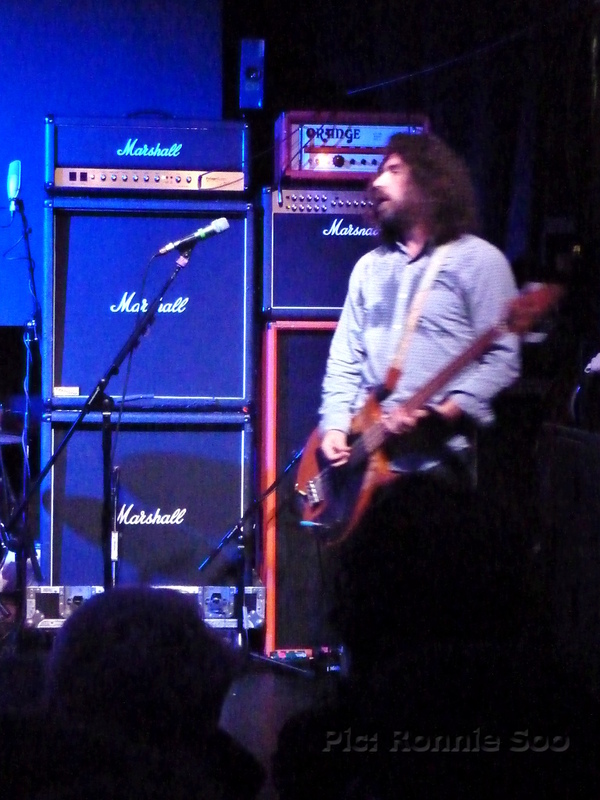 Mascis’s amp stack was rivalled by Barlow’s rig, another Marshall stack accompanied by an Orange, both towering over the bass player. I had hoped to enjoy this show, in particular J Mascis’s lead playing (he’s renowned as one of the finest lead guitarists of the grunge era) but, the volume was so overpowering it demolished any hope I had of enjoying this gig. I couldn’t make one word out of the frontman’s vocals all night, and on the occasions when Lou Barlow took a lead vocal, it was totally drowned out by his own and Mascis’s guitar sounds. For one number, they brought out the guitar and drum techs to play alongside the trio (‘we’re doing something unique and playing this next one as a five-piece’ – Barlow) but this seemed pointless as the three main players produced such noise that extra instrumentation was hardly required. The only time I could make out the frontman was between songs, when he announced they’d play some ‘new material’. However, these were few and far between, as he is Lanegan-esque in his connection with the audience (hardly at all!) 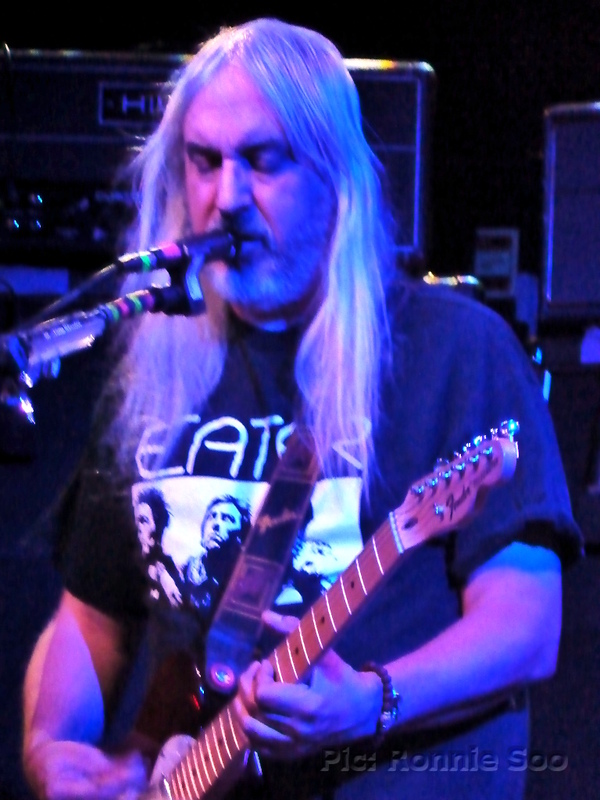 It was the bass player who was the more upfront, headbanging away and throwing himself about the stage while Mascis contented himself with standing and playing. He does have some nice touches on the guitar when he does play cleanly, however even then, the distortion from the bass side overwhelmed the guitar. I’d like to be able to list a few songs but they were indistinguishable from each other, and that was entirely down to the inappropriate use of a rig better suited to a festival than a club gig. There were cheers of recognition from the crowd at some (presumably) older numbers, but all of it was delivered at such devastating volume that they might just as well have set up a couple of road drills and had done with it. In conclusion, this was disappointing. I’m all for loud music but when it sacrifices clarity to the point of being a mush, it is a difficult one to get enthusiastic about. I’m not having that it’s the ‘style’, or the way it has to be for this genre; guitar chords are the same whatever your clothes or hairstyle. I’ve seen some other artists play with both power AND control in recent weeks, this was completely out of control. There’s a clip of this band performing on BBC’s ‘Later With Jools Holland’ available on YouTube which frankly, gives a far better idea of what this band sound like live than anything I experienced at this gig. Cut it back fellas, let’s hear what you sound like rather than trying to impersonate a passenger jet taking off!